This HDR of Hornvík bay in August 2011 is taken from the top of Hornbjarg cliff. Composed of 8 photos in RAW blended in fusion mode with Dynamic Photo HDR. 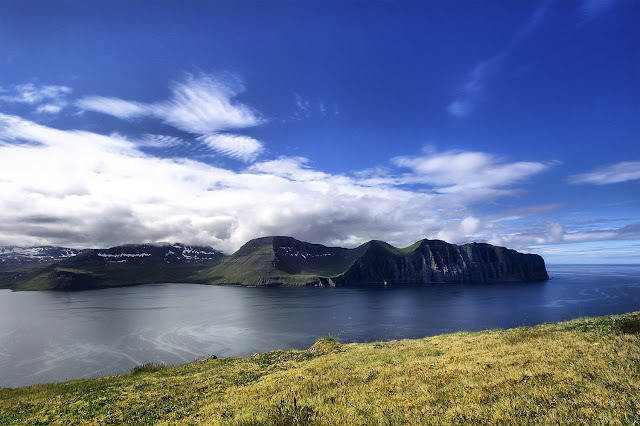 Hornbjarg is the norhtern most cliff in the Icelandic Westfjords on the east side of Hornvík bay. The tip of Hornbjarg is high over the arctic ocean and only 17 km (about 10 miles) from the polar circle.